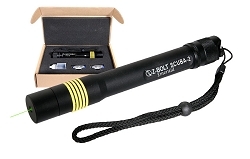 Z-Bolt® Green SCUBA Dive Lasers illuminate particulates in the water to project a brilliant, easily seen laser beam and dot. 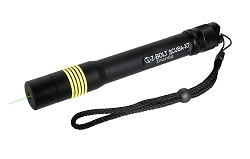 These innovative underwater laser pointers are salt water proof to 200 feet. 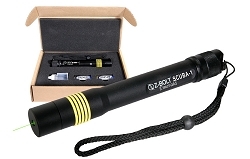 Interact with marine life; use to signal your dive partners; point out marine life and objects of interest hundreds of feet away depending on light and water conditions; interact with marine life without disturbing the natural food chain. 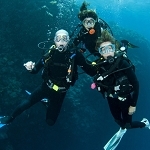 Draw marine life out of coves for underwater viewing and photography ( many fish species will follow the beam ). Can be used on land as well; at the dock, port or marina. Oil included to keep o-rings soft & compliant.